I created this site for all of my students so that if you are absent, lose an assignment, or forget a due date, this is your resource! Check out the links above for all of my 2018-2019 classes for all daily class updates, class downloads (handouts, articles, due dates, etc), test dates, and for any class specific information. Monday April 8th- AP BUBBLING PARTY 3:15pm in North Cafe for ALL AP Students! Burnaby North Ace-It Film Premiere! 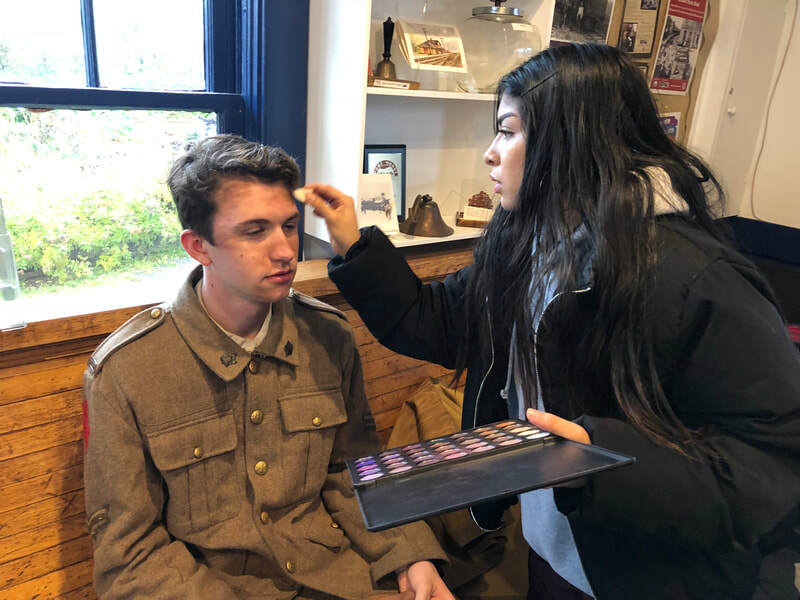 Our Film Students in Ace-It and Media have been working all year on a short film in honour of the 100th Anniversary of the Armistice of WWI. 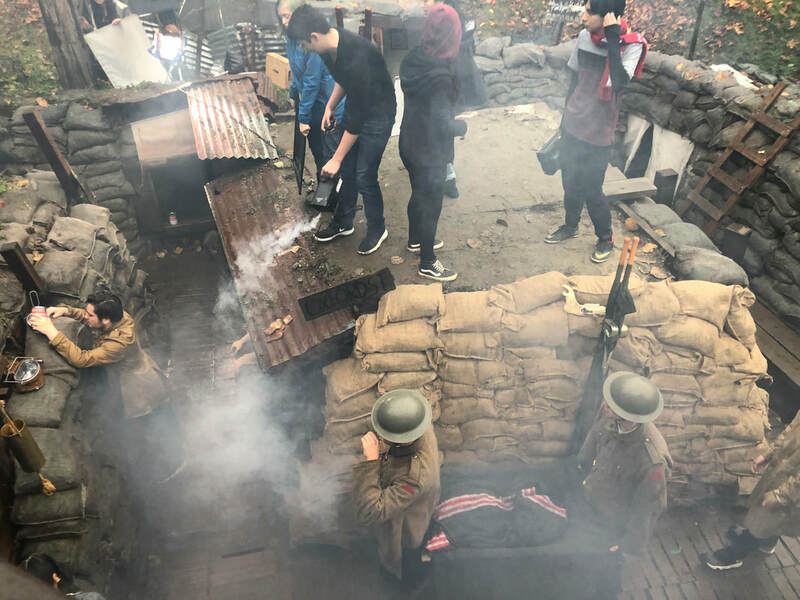 They have been writing, filming, editing, doing sound, and more for months and the film is now nearing completion. 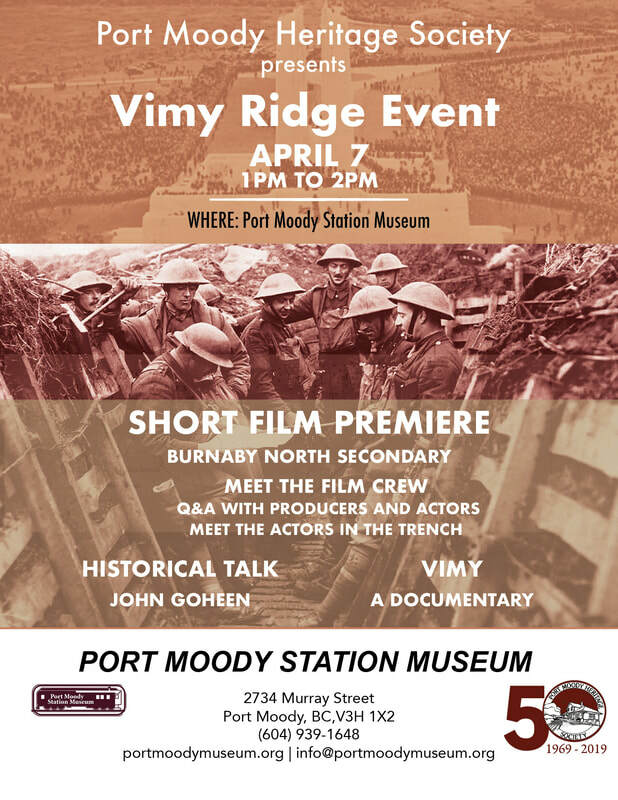 There will be a premiere of this event on Sunday April 7th at the Port Moody Station Museum from 1-2pm where there will be a short key note speaker (John Goheen from the Legion), the film premiere, and a meet and greet with cast and crew in the WWI trenches. Please join us in celebrating the film! 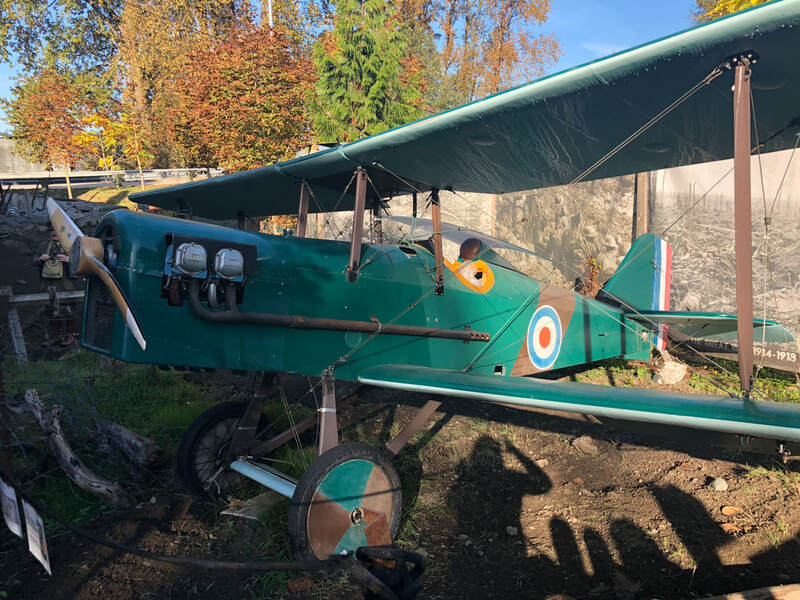 Please see the below photos from our film shoots and check the Tri-City News, Burnaby Now, and CBC for more information! 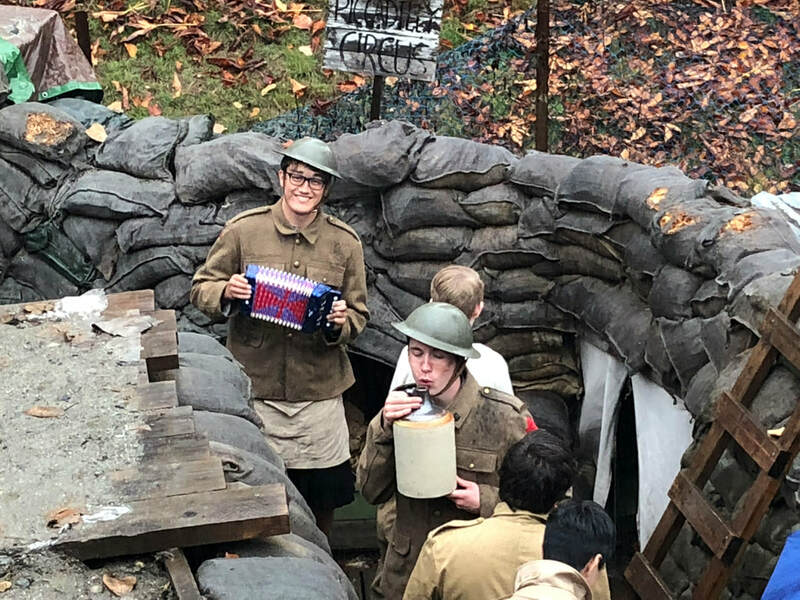 The Port Moody Heritage Society and our students from North have been working on a film documentary for the 100 year Anniversary of the end of WWI. 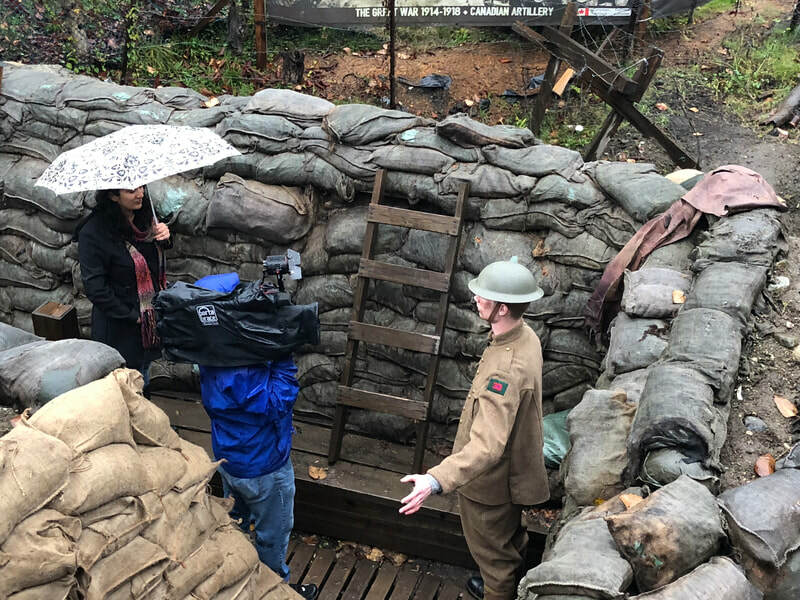 A group of about 30 students including writers, actors, directors, crew, sound, editors, makeup and more have been part of this ongoing project in the Port Moody Station Museum's WWI trench recreations. This film will be done in early April for the Society's 50th Anniversary. It has been such as success that CBC news asked to see it and came out to film parts of it, interview our students, and more. 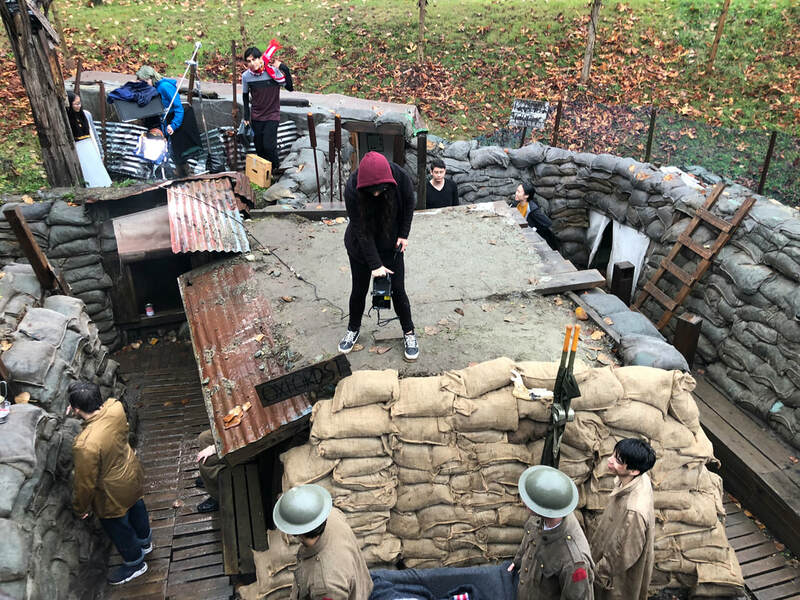 North students took over the CBC Youtube Channel and Instagram feed for Remembrance Day and portions of the interviews aired on CBC National on November 11th broadcasts. Amazing job everyone! 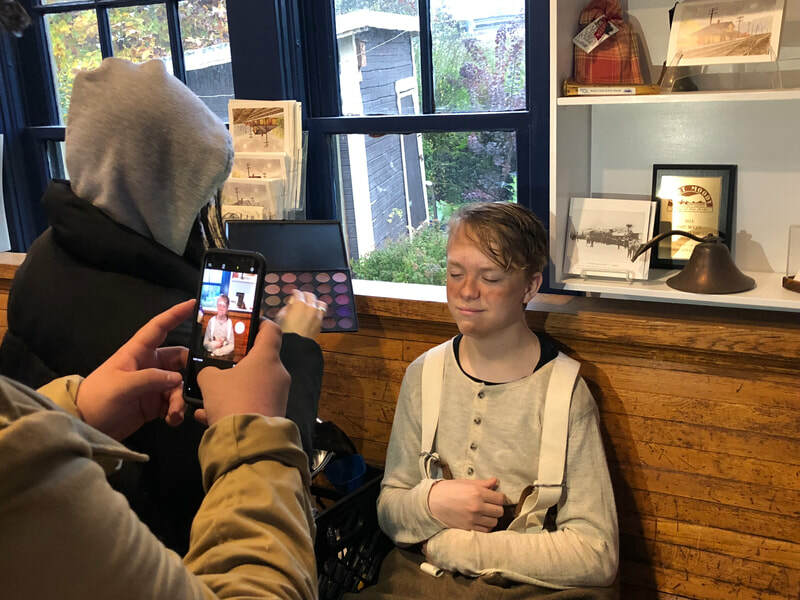 Cant wait to see the final product! 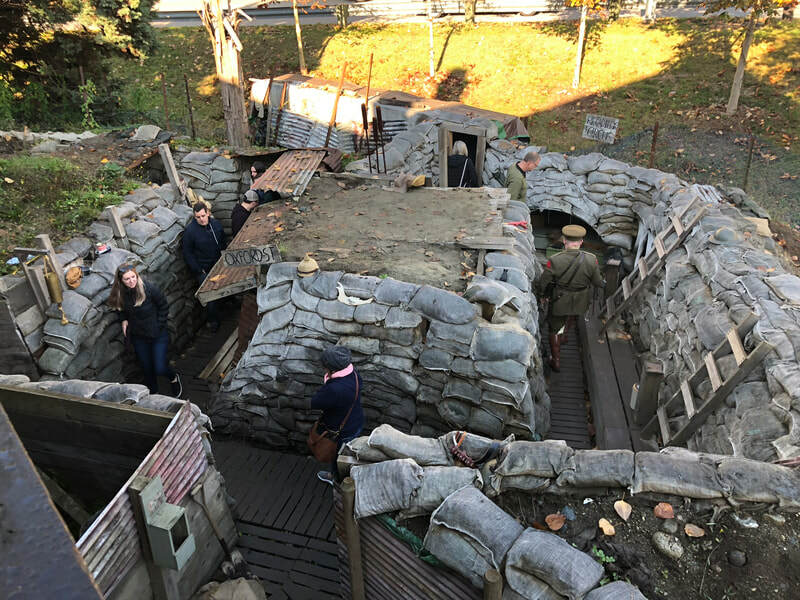 My two blocks of Socials 11 Explorations has been working on a unit on WWI and we have an opportunity to visit the Port Moody Station Museum where the Heritage Society has built a reconstruction of what the WWI trenches would have been like. Our tour leader Markus dresses in a General's uniform guiding us through the trenches, what life was like for the soldiers, the psychological impact of life in the trenches, and even referenced art from the Group of Seven. Roughly 200 students from Burnaby North took part in a first ever Leadership Retreat at SFU today. 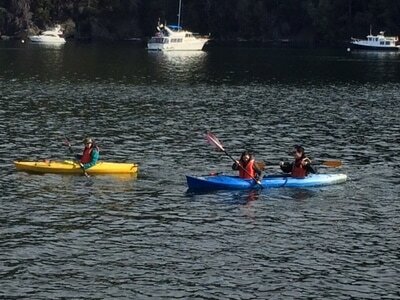 All leadership groups, student government, athletic councils, and club members took part in the day. 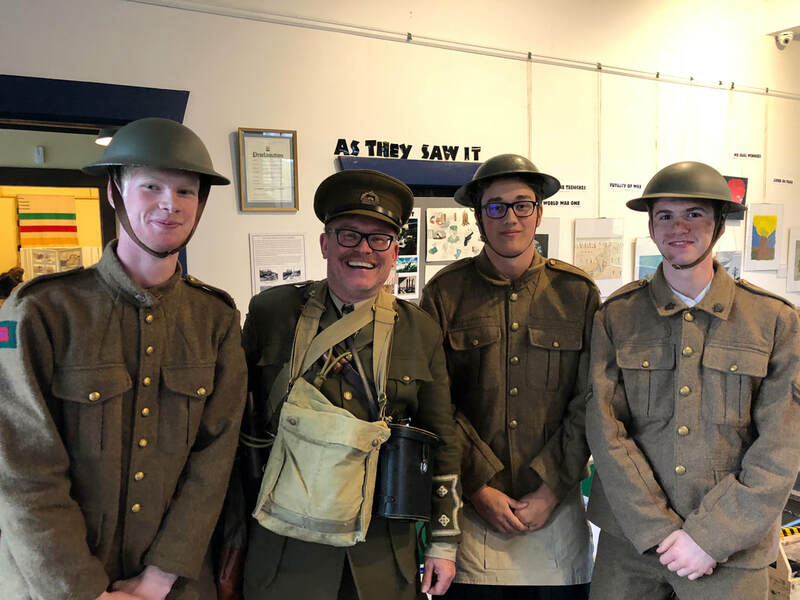 The event also featured an introduction from Mr. Rawnsley, keynote address from Ian Tyson, a expert speaker on Leadership, and voices from all groups who attended the event. Thank you to SFU and Karen Hansen for helping us set up the day and a huge thanks to Ms. Byrne for organizing it all! Great job everyone! 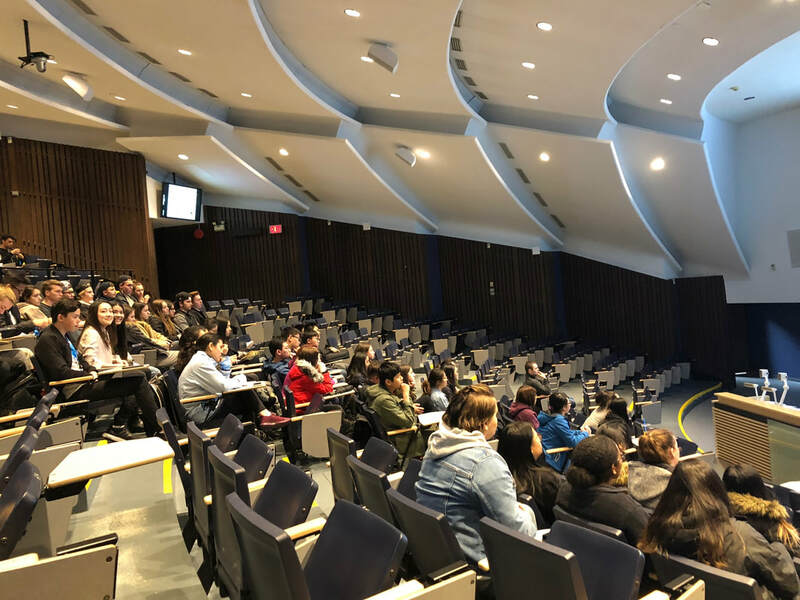 Students were given an opportunity to visit SFU and have members of the FASS Department give mini-lectures and give students an idea about what university life will be like. 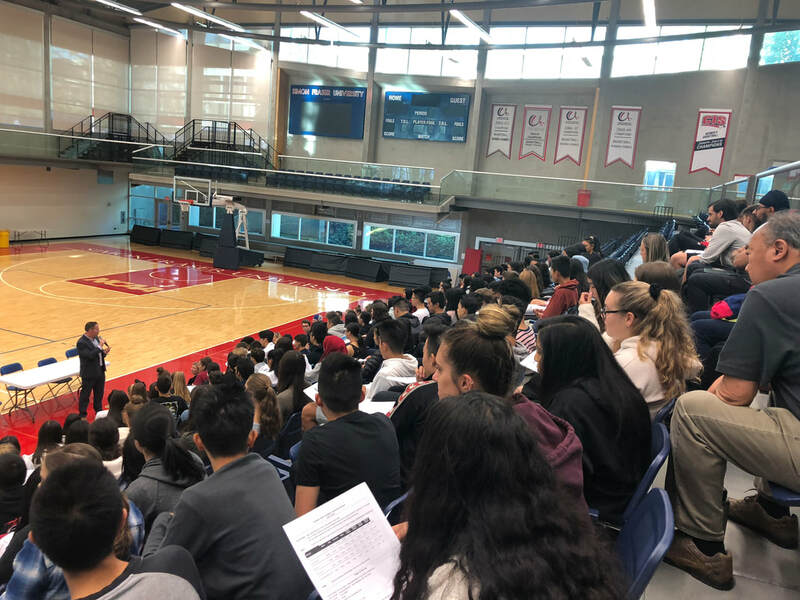 We took 450 students from all over Burnaby to SFU for this event and students had the afternoon to listen to lectures on topics including Psychology, Economics, Philosophy, Gender Studies, Criminology, and more! Thank you to Tammy Theis for helping me with this field trip! 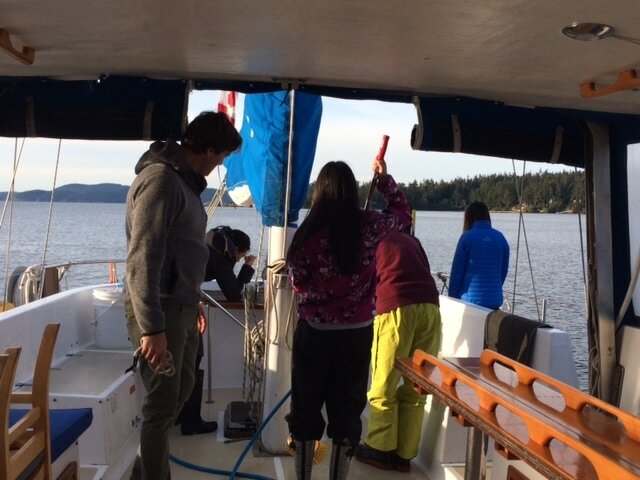 On Tuesday we took our Geography 12, AP Human Geography 12, Rethink, and Aboriginal Education students on two boats (Oceanwatch I and Oceanwatch II) out on the water! 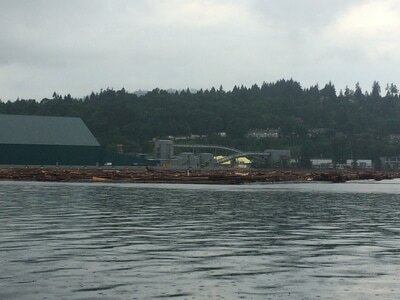 We left from Rocky Point Park and did a harbour tour of the inlet and then up into Indian Arm before heading under the Second Narrows (Iron Workers Memorial) Bridge into the harbour. We made a lunch stop at the Lonsdale Quay and then made our way back to Rocky Point. 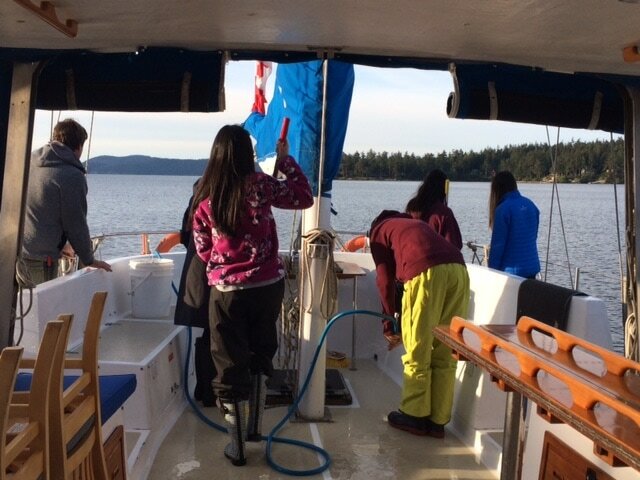 Students were able to see the Port in action, cargo and oil tankers, the Kinder Morgan site, Suncorp, a BC Ferry on dry-dock in North Van , Imperial oil refineries, and MUCH MUCH more. 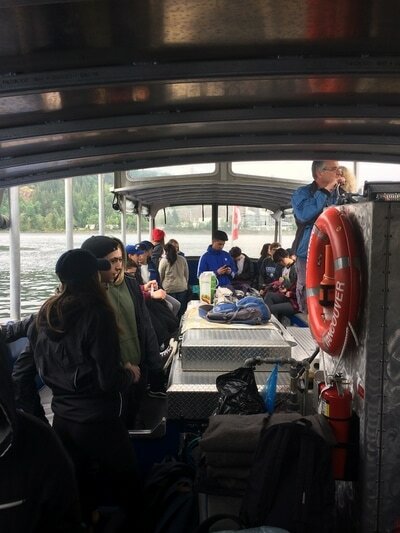 Students were given a unique opportunity to see Vancouver and it's port activities/industries from the water and examine the environmental impact of all of it on our waterways. We also were able to identify and point out traditional First Nations lands, settlement areas, and historic sites along the tour from Port Moody to North Vancouver. 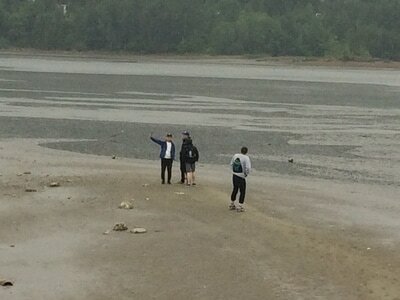 Although a bit wet and rainy, a great time was had by all! Ms. Carey & Mr. Sokugawa took 18 students over the Easter Weekend sailing through the local Gulf Islands on the Island Roamer through Bluewater Adventures. 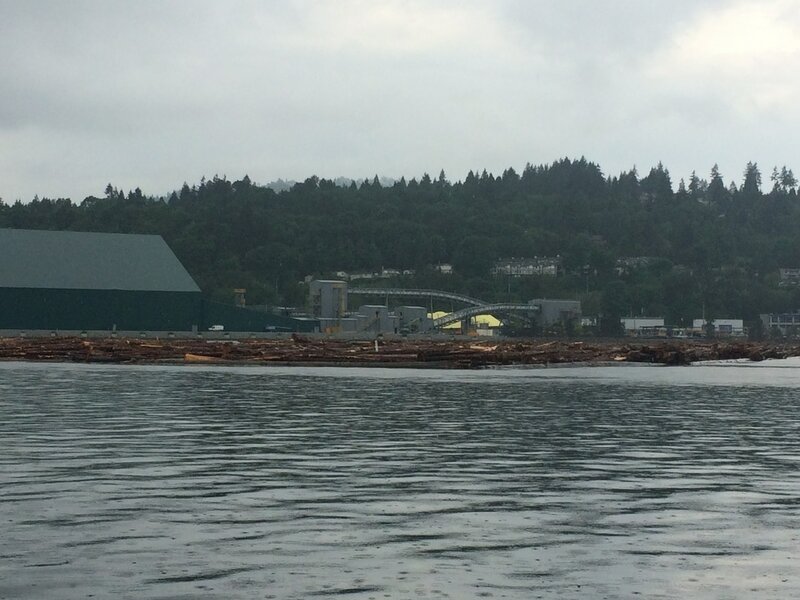 We stopped at Portland Island, Saturna Island, Russell Island and more! 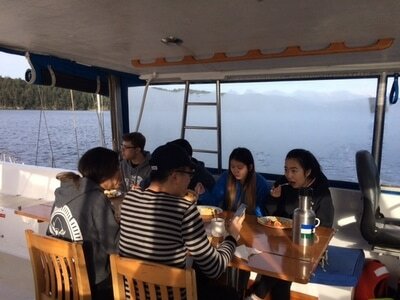 This was an amazing experience and we encountered countless wildlife, learned to sail, and hiked local trails. Until next year! 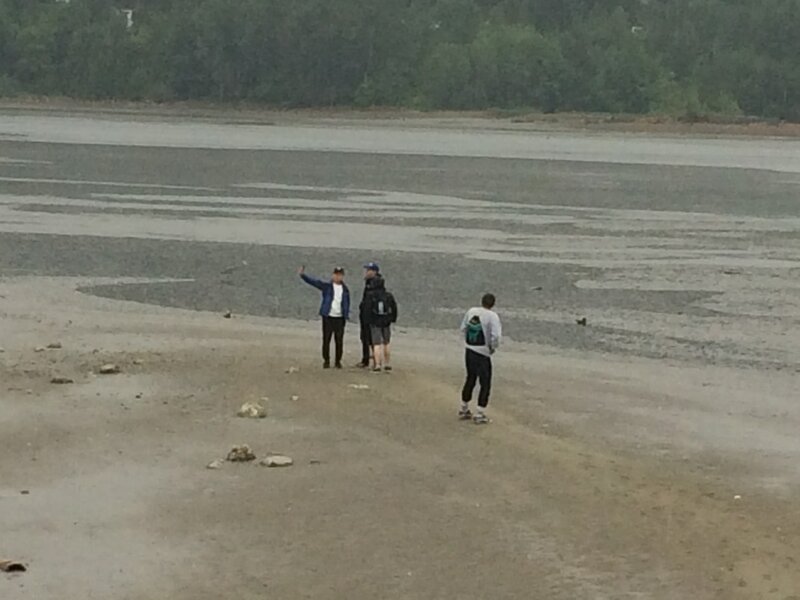 I have been teaching Social Studies and Psychology in the Burnaby School District since 2002 and in 2011 became the Social Studies Department Head for Burnaby North Secondary. I am the AP Psychology 12, Socials 11 Explorations, and Socials 8 teacher this year (2018-2019) and am really excited to have another great year with all of you! In my spare time I enjoy kayaking, scuba diving, travelling the world, boating, camping, fishing, and have amazing adventures! 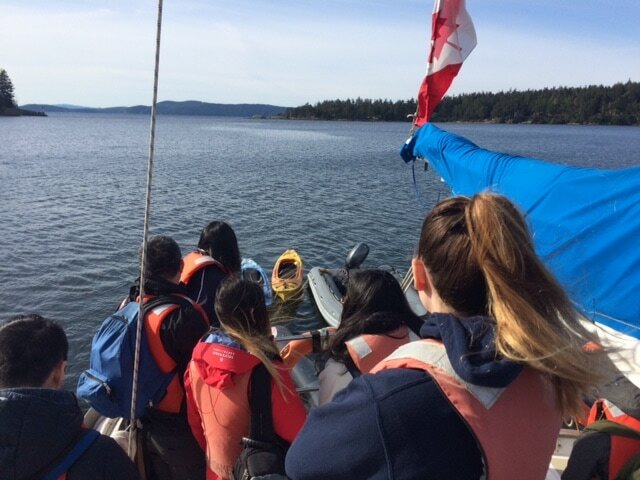 I have my masters degree in Education from Simon Fraser University in Imaginative Education and Learning in Depth and have started LiD (Learning in Depth Student Inquiry) in many of our socials classes here at North! I am also an experienced sponsor teacher of our Social Studies Department's "Life Experiences Travel Program" where I have travelled with students over 4 times, most recently to Istanbul and Athens with 25 students in March 2014. Some of our past trips have included Italy, Spain, Portugal, Morocco, Egypt, France, Germany, Austria, Liechtenstein and Switzerland! Our Socials Department is very excited to announce our newest adventure! Stay tuned for our next trip announcement soon! I also do a lot of travelling in my personal time as well and love new adventures! My most recent adventures took me to Iceland, Scotland, Ireland, and Japan! St﻿udents would agree that I am a serious coffee addict, I tell a lot of awesome (and relevant) stories, I love history and psychology! I love 'Game of Thrones', 'The Originals', and 'Hawaii 5-O', eat lots of sushi, love fishing and boating, and finding great adventures! I am also terrified of heights & needles, and love to be anywhere near the ocean!! And yes, I own a paintball field (Ambush Paintball). I am excited for another great year here at Burnaby North with all of you and hope you have a great year as well! You can find me in Room 212 and I am available after school everyday if anyone needs course work help or you can email me at anytime.